Having the loudest, most fun party in the parking lot may draw a crowd when you are out tailgating this fall, but the food will make sure they stay! 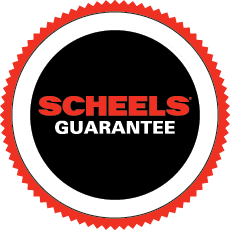 As you plan your next tailgate party don’t skip out on this great Jalapeno Popper recipe from SCHEELS Grilling Expert Jake Hillesheim. The cream cheese, parmesan, garlic powder and cheddar cheese create a very subtle flavor while the jalapeno provides just enough kick and crunch. The bacon exterior finishes off the entire package because who doesn’t love bacon?! In a medium sized mixing bowl, mix together the cream cheese, parmesan, garlic powder and cheddar cheese. Stir until mixed well and place to the side for later. Slice the stems off the 16 large jalapeños. Slice down the middle making sure you don’t cut all the way through. Open them up and scrape and discard the seeds. Fill each jalapeño with the mixture and wrap a half a piece of bacon around the jalapeños, stabbing the two ends with a tooth pick. Place on the Traeger at 350˚F. Remove after 15 minutes, or when the bacon is golden brown.